These are lyrics by Roberta Flack that we think are kind of nonsensical. 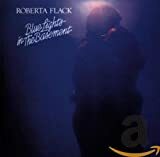 Roberta Flack's, "Killing Me Softly With His Song"
1) Are you sure that his words describe your *entire* life?! 2) Listening to the man's song kills you...softly? For the longest time I have been confused by this!